Swag and fashion | Run. Work. Live. Repeat. Hurrah — they’re here — Boston or Botox T-shirts! I broke mine in this weekend racing at the Canyonlands Half Marathon in Moab. I got several comments from runners. “I’d choose Botox,” one silver-haired, grandfatherly type yelled out to me at mile 4 when I passed him. Check out the blog and you’ll find out, I told them. Here’s the answer: The Boston or Botox T-shirt challenge. Now I’m up to almost 1500 miles and just a month out from the race. I’m going to come close but probably not make the whole 1770 miles by April 18th — the date of Boston Marathon. I’m guessing I’ll be about 100-125 miles short, depending how things go from here. When I got sick several weeks ago it set me back. Occasionally life’s demands trumped my training. That’s the way it goes. Rather than become discouraged I chose to forge forward, not look back. I could push it and still get those miles, but then I’d risk overtraining and possible injury during the final weeks. I don’t want to do that. This is where YOU and the Boston or Botox T-shirt challenge come in. The FIRST FIVE readers to contact me and share a week of their workout miles during this last month — March 20 through April 18 — will get their own Boston or Botox T-shirt FREE. Then if you are willing, I will add your miles to my own virtual log from Denver to Boston to get us ALL across the finish at the Boston Marathon. I’m asking for readers to send me a log of what they did — how many miles they ran or walked each day over a seven-day period. (How much you do is up to you, based on the honor system.) If possible, sending a picture of yourself doing it would be great but it’s not necessary. 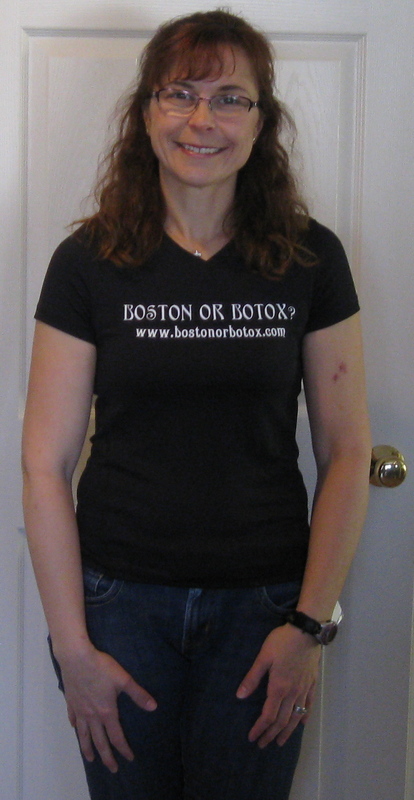 The T-shirt is black, technical material for working out, vee-neck, women’s cut with “Boston or Botox?” and the blog’s website printed on the front. I have a bunch in sizes medium and large. The one I wore at Moab and will use at Boston is a slight variation. It has “Boston or Botox?” and blog’s website on the back and my nickname (“Donna”) on the front so the crowds at Boston can cheer me on by name. My hope is that I’ve inspired you during these several months to be the best you can be; that great things are possible when we believe and are willing to work for them; and we can have fun doing it. I intend to continue Boston or Botox and the spirit it embodies — marathons, motherhood and midlife triumphs — after I run Boston and to keep writing profiles about dynamic individuals. My story began with the courage to take a single step out of my comfort zone. I pushed myself farther than I thought I could and the result has been more than I could have imagined. If you believe, you can do it, too. The Boston Marathon is exactly four weeks from today. “Take my hand. We’ll make it I swear.” (Bon Jovi, Livin’ on a Prayer). Mileage today: 9.5; Denver to Boston miles logged: 1477; Miles left to go: 293. A few weeks ago I found out I could order this online instead of having to wait for hours for it at the race expo. 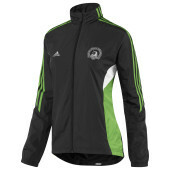 Also, upon closer inspection of the website I noticed they offered two women’s jackets for sale. Here’s the second option below. I went back and forth about which to get. Then I decided: “intense green” it is. After all, marathon training itself can be best described as “intense green.” Or at least my marathon training feels that way some times. Anyway, I don’t care how froggy this jacket makes me look. I will wear it with pride. Tomorrow I’ve got another 20-miler slated. After that it’s two more weeks of hard work and tapering begins. I can’t wait to get my Kermie jacket now. I ain’t easy being green, but I think I can get used to it. Today’s a rest day; Denver to Boston miles logged: 1,413; 357 left to go! Kelly green and black jacket, anyone? Yowza — that hurts my eyes! I guess when you run the Boston Marathon they think you’re the Incredible Hulk or that you should look like him. 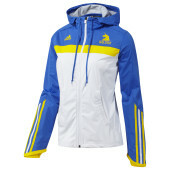 For years I’ve heard about the “coveted” Boston Marathon jacket. Apparently people stand in line for hours at the race expo waiting to get one. Now here’s my chance to get one and it’s going to make me look like Kermit the Frog. 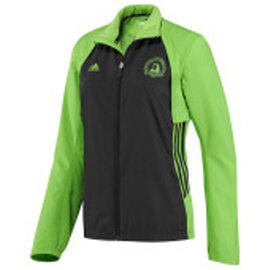 The whole line of official Boston Marathon 2011 athletic gear uses this same color scheme, from tights, to shirts, etc. The Boston Marathon qualifier gear (below) in traditional royal blue and yellow used by BAA is more tasteful in my opinion. I haven’t decided if I will still get the official green one or not for nostalgia sake. What do you think? Does ANYONE look good in that shade of green? Is it still worth it? I worked hard enough to earn it — that’s for sure. I guess if I buy the green one you’ll be able to fine me in the dark. Or I will learn to croak like Kermie. On a separate note, I didn’t get to run today but I hope to hit the track tomorrow. Denver to Boston miles logged: 1305; Miles miles to go: 465. Today I got in a 10-miler in on a hilly trail run near home with a friend. Then I continued my online retail reconnaissance from a few days earlier. This time I was on the look out for stock stuffers under $20. 3. For getting your caffeine buzz after the run: Running chick mug. 4. To feel and smell great post-shower, Bath & Body Works Warm vanilla body lotion. 5. I liked this pretty shade for camouflaging blackened toenails: Sally Hansen, Diamonds and Ruby nail polish shade. 10. And always a a winner: an iTunes card to load up the play list on the iPod. I hope this helps you and Santa. Have fun! This time of year many people love to shop. Near my neighborhood there’s a huge retail area visible from Interstate 25 in south metro Denver called Park Meadows Mall. It’s only about 10 miles from my home. Each time I go by Park Meadows it’s packed with people and cars. If you didn’t know any better you wouldn’t think there’s still a recession based on how busy it is. The dolls at the American Girl Doll salon can get their ears pierced. This suburban bubble is a far cry from the current economic woes of the rest of the country and how I was raised. The daughter of steel workers and immigrants from Eastern Europe, I grew up in a brick ranch-style house in a blue-collar neighborhood in Northwest Indiana. The nearest shopping mall to us had one fancy store — Carson Pirie Scott and it did not have a salon for dolls or professionally pierce the ears of toys. I’m explaining all of this because while I enjoy fashion, a clothes horse and shopping maven I ain’t. At least I’m not a true shopper in the current standard of conspicuous consumerism that seems to define Park Meadows. I think it’s because the older I’ve grown, the more minimalist I’ve become and closer to my roots. That’s not to say I don’t like a good bargain when I find it. Who doesn’t? I just make it a point to keep my retail therapy and my pocket book in check. OK, now that I’ve cleared the air on that I also have a confession to make. This blog is about … well. shopping for running gear because ’tis the season after all. When I do shop for gear I like stuff that’s functional, fun and good quality. I also look for flattering cuts. 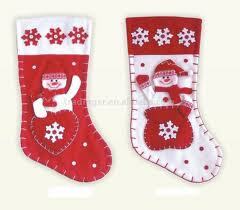 Perhaps these items can help you with the residual Santa shopping left on your list. Have fun! 1. Sierra Trading Post, Micro Melange Shirt — It’s got some cute colors and a flattering cut as does the similar Saucony Melange Tank. 3. Nike skull cap with ponytail slot, shown on Nike site. I saw a friend wear one of these on a cold run. It’s cute on but functional, too. 4. Inspired endurance jewelry — the build your own bead bracelet for marathons and triathlons are kind of cool and unique. 5. At See Jane Run, Nike Convertible Mittens . My hands turn into popsicles in the winter. I love the idea of these because mittens are warmer but it’s nice to have an option that gives you dexterity. 6. 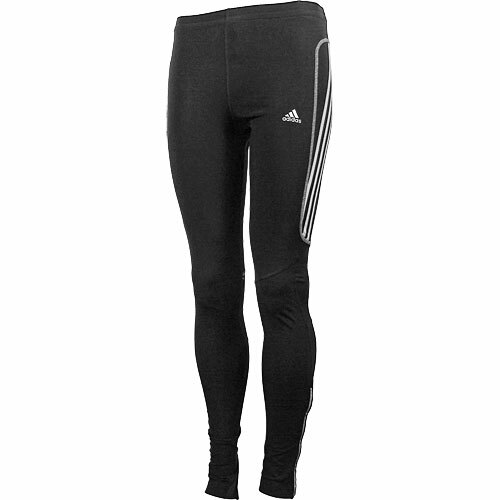 Last I threw these in because if you are built with curves like me Adidas shorts are forgiving on bigger hips and thighs. Patty, my sister-in-law, has a finisher’s medal from the Disneyland Half Marathon that I swear she must have stolen from a gangsta rapper. Seriously, it’s so big it could use its own zip code. 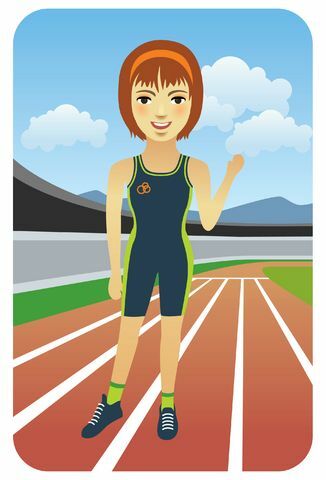 Let’s face it: Elite runners run for the prize money and gold medals. The rest of us mere mortals find our motivation wherever we can. For Patty, it’s about bling. 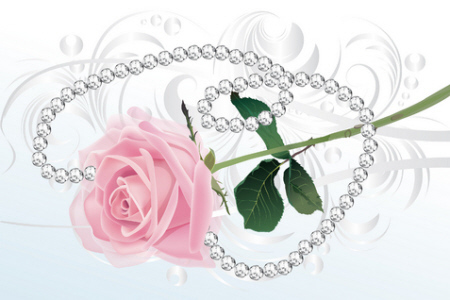 One year she and I ran the Nike Women’s Half Marathon in San Francisco so we could score silver Tiffany necklaces. Men dressed in tuxedos handed them out at the finish. The event also included technical Tees and freebies such as food, makeup and hair ties. Another friend of mine recently won her age group at a local 5K because of a store promotion. This boutique retailer advertised that if you won a race wearing one of their outfits plus a bib number and brought in a picture of it, they would give you free clothes — kaching!! The Skirt Chaser 5K races around the country include skorts for all participants. The Surf City Marathon (Huntington Beach, California) gives away surfboard-shaped finisher medals. Great schwag makes the miles fun and can push you to the finish. In the next few posts I’ll talk about what motivates me and other runners I’ve met. Before I go I’d also like to give a virtual shout-out to the Colorado Columbines’ Distance Divas who ran the St. George Marathon today. Jane Potter, whom I profiled in an earlier blog, qualified again for the Boston Marathon at age 62, and several others set PRs. Congrats to Jane and everyone who ran — you rock!! Aging is inevitable, but growing old is a choice. Lace up your shoes and let’s go. Mileage today: 15; Denver to Boston miles logged: 675; Miles left to go: 1,095.